After watching last night’s final CP24 mayoral debate this morning (man, I wish I had’ve thought of this earlier, zipping right through the commercials and Ben Mulroney segments), allow me to try and introduce, I don’t know, a long, cool drink of water to the increasingly heated proceedings. My colleagues here have, frankly, lost all sense of perspective, driven by rage, stupefaction and impotence to the verge of insanity. They refuse to accept the facts of this campaign heading into the final weekend before Monday’s election day as it has been played out . 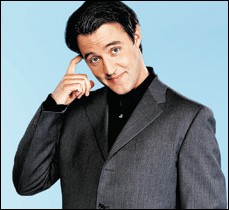 It isn’t simply a case of “their” candidate(s) having little-to-no prospect of winning. “Their” candidate(s) never emerged, for a variety of reasons, the least of which… well, don’t even get me started on that, lest I get dragged down into the gutter of intemperate language. Suffice to say, many of us have neither forgotten nor forgiven the arbitrary determination made at some level somewhere of which candidates would be considered “viable” or front runners and which ones wouldn’t. We have what we have. 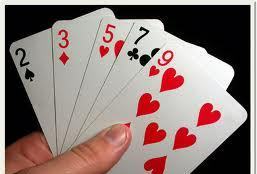 The hand’s been dealt and we must play it. Our bed’s made, now we must lie in it, perhaps to dream away the upcoming nightmare of the next four years. Writer Jonathan Goldsbie deftly highlights the demons we, the uncommitted/undecided voters who only know that Rob Ford would be a very, very bad choice, are wrestling with. Voting with our heads may stop that train wreck from occurring but perhaps at a cost to our city that is only negligibly less harmful. Voting with our hearts or ideals, while perhaps leaving us smugly self-righteous, could well inflict a world of pain on Toronto that would take years to repair. Adding to the frustration and increasing acrimony is the fact that the two front running candidates, one of which we are told will be our next mayor, are left to shamelessly exploit the uncertainty of uncommitted/undecided voters because neither have persuaded a big enough constituency to elect them mayor based on their own merits. If they can’t build a workable consensus with the electorate, how do they hope to do it at City Hall? How doesn’t a divisive campaign not beget a divisive administration? 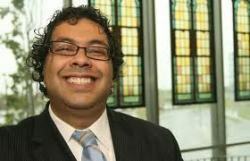 The awful truth of the matter is, 5 days before the election, there is no Naheed Nenshi running for mayor of Toronto. Allow me, to correct that. Five days before the election, none of the 3 front runners, our only viable alternatives as we’ve been told, is a Naheed Nenshi. Toronto is facing, I won’t say a bleak next 4 years as that simply ignores the checks-and-balances in place that make up what should be considered our semi-strong mayoral system. But it will be an insular 4 years with a noticeable lack of progress towards advancing the needs of a healthy 21st-century city. That alone should cause us consternation, concern and more than a little fretting. … A question I am not prepared to answer just yet. It’s tough feeling so coerced into hand over our lofty hopes. 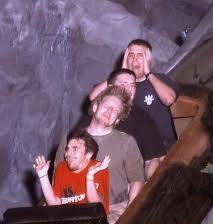 There’s time still to imagine that every so often, the unexpected can happen. 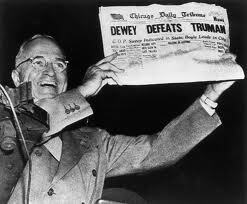 Maybe we too can have our `Dewey Defeats Truman’ iconic moment and find ourselves pleasantly and deliriously surprised, defying pollsters, oddsmaker and conventional wisdom all. Proving that maybe, just maybe, we haven’t become the jaded, cynical pragmatists our leading candidates have bet their electoral fortunes we are. You are currently browsing the All Fired Up In The Big Smoke blog archives for the day Wednesday, October 20th, 2010.